the twenty-second edition printed in 1931. 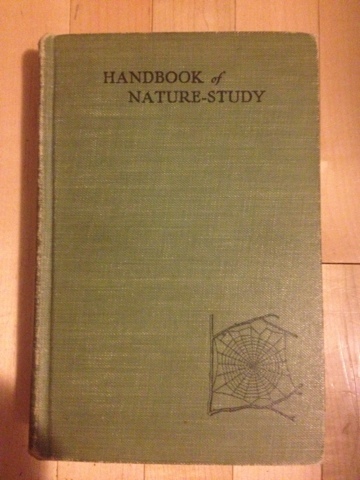 It was probably one if the first "old" books I bought. My edition is the "Portrait Edition." 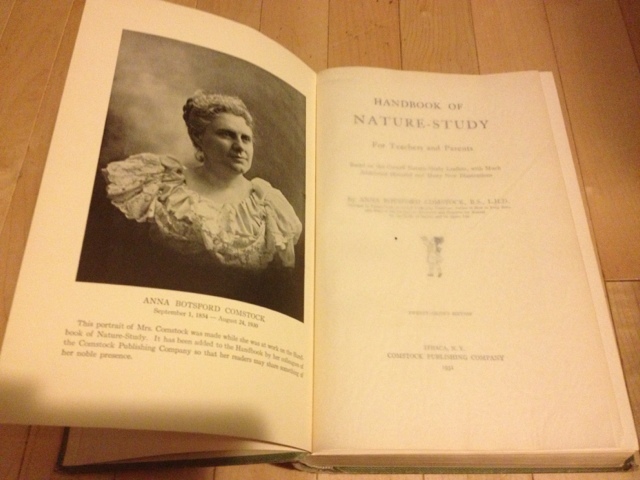 Her portrait was added to the book by the publishers after her death in 1930, "so that her readers may share something of her noble presence." 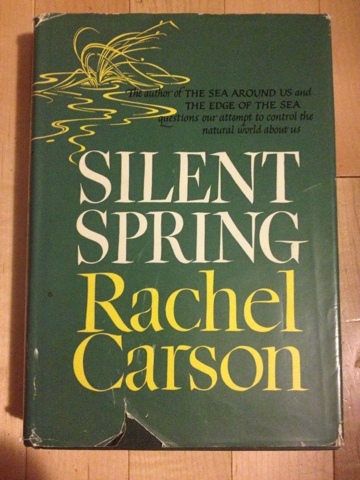 Another notable book in my collection from a another powerhouse woman writer is this first edition hardcover of Silent Spring by Rachel Carson. Houghton Mifflin Co., Riverside Press Cambridge 1962. There is a little damage to the dust jacket but otherwise a great copy. This one was a gift. 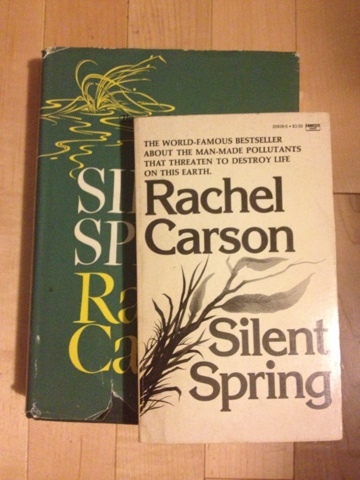 It sits along side my much smaller forth printing of the 1985 Fawcett Crest paperback edition. I have a few more book posts coming so the bibliophiles amongst you can look forward to that. For those of you not into books how about bees? There's a bee post in the works too. It's a great thing to read these old books. It often helps to reinforce to us that science does indeed evolve and our society can learn to embrace the idea that as we learn, we change our views and our perception of what is fact. In Comstock's book, reading closely you will find that in 1931 we believed that the process of photosynthesis consumed oxygen and released carbon dioxide. Hmmmmm. Fascinating. I hadn't seen that. That's why I love science. It is fallible but always willing to correct itself.